On a cube-shaped boulder 50m above the 25 Bosses path. Sitstart on the right, climb the right arete and exit at the top. Standing start is 4b/4c. 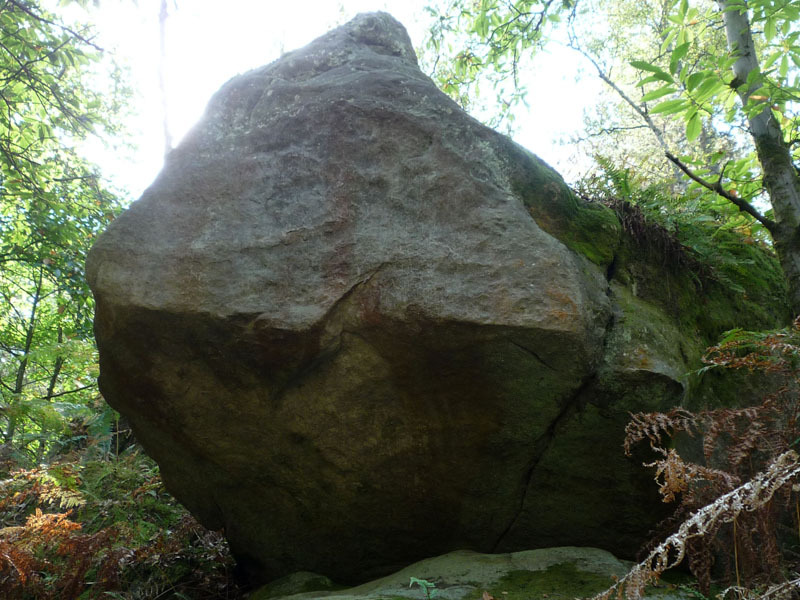 Access : follow a small path from blue n°29, cross the 25 Bosses path; the boulder is 50m above, on the left, 30m after Soleil Cherche Futur.